Place the chicken breasts into the base of the slow cooker and add the brown sugar, ground cumin, salsa, green chilies, salt and pepper on top of the chicken. 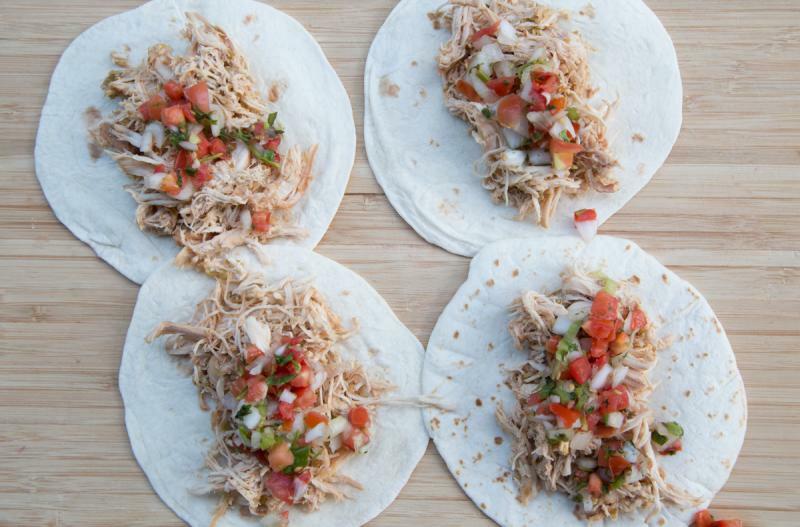 Spoon the shredded chicken into tortillas and make tacos. 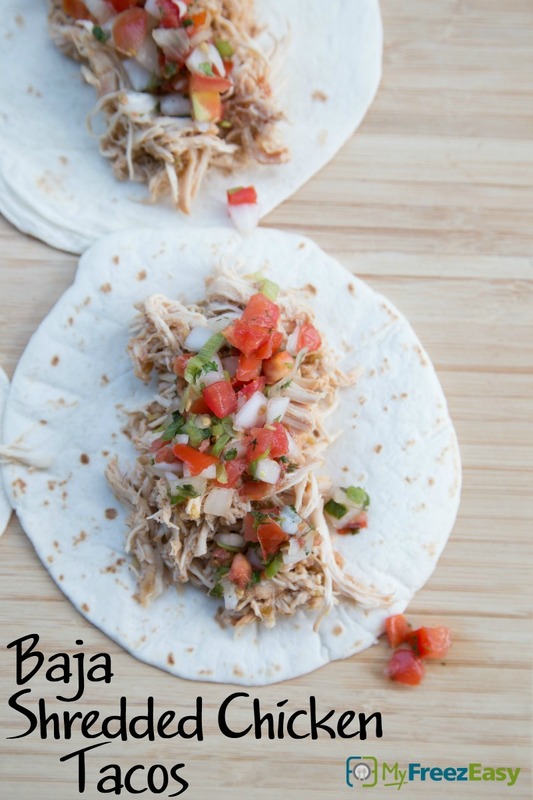 Serve Slow Cooker Baja Shredded Chicken Tacos with side salad. Recipe is gluten-free if you use corn tortillas in place of the flour tortillas. Thaw and slow cook on low for 8 hours. Once cooked, shred the chicken with 2 forks and serve in flour tortillas with pico de gallo garnish.